A lack of literacy about mental health law among professionals meant they missed opportunities to safeguard a 64-year-old nursing home resident whose refusal to accept medical treatment caused his death, a safeguarding adults review has found. The review by East Sussex Safeguarding Adults Board concerned Mr A, a former alcoholic who died in July 2016 at an East Sussex nursing home after refusing care and treatment for his many health conditions, which included diabetes, epilepsy and Korsakoff Syndrome, a chronic memory disorder commonly caused by alcohol misuse. His sometimes aggressive refusal to accept treatment led to festering leg wounds that became infested with maggots during the final days of his life. Kent resident Mr A first entered nursing care in 2013 but after being admitted to Maidstone Hospital for leg ulcer treatment, the home refused to take him back because they felt unable to cope with his behaviour. The hospital spent nearly two weeks trying to find a home within Kent to accept him without success. Since no home could be found, a friend to whom Mr A had given lasting power of attorney over his welfare and property, agreed to what was meant to be a short-term placement at an East Sussex nursing home. Mr A wanted to stay in Kent but a mental capacity assessment carried out at the hospital concluded that while he had capacity to make decisions about medical treatment, he lacked capacity in regards to his discharge to East Sussex and the move was in his best interests. In East Sussex Mr A continued to regularly refuse treatment and care despite repeated attempts to convey the dangers to his life that entailed. By December 2015 his refusal of care, which one consultant linked to “paranoid thoughts and lack of proper insight”, had caused the cellulitis on his legs to develop into open wounds. At a best interests meeting in January 2016 the nursing home reported that staff “felt frustrated in the absence of advice about how to assist him” and worried that they would find him dead in his room one day. A search for a new placement was initiated following the meeting. In the meantime Mr A’s deprivation of liberty authorisation expired but was not renewed because an email from Kent’s deprivation of liberty safeguards service with the relevant forms was classified as junk by the nursing home’s email system. Neither Kent nor the home followed up the renewal and as a result Mr A was deprived of his liberty unlawfully. By May, with no alternative placement yet secured, Mr A’s legs had foul smelling wounds but he continued to refuse antibiotics or dressings. The consultant psychiatrist was asked several times whether Mr A could be sectioned under the Mental Health Act 1983 so he could be forced to have treatment. The psychiatrist correctly advised that sectioning must be done to enforce psychiatric care not physical care. The review said those enquiring interpreted this advice as meaning that detention under the act was not a viable course of action in Mr A’s case when they should have considered whether treating Mr A’s mental health could resolve his unwillingness to accept physical health treatment. No alternative placement for Mr A was found. By 22 July Mr A’s leg wounds were infested with maggots that would drop on the floor as he walked around the nursing home. The GP contacted by the nursing home about the maggots raised a safeguarding referral after being advised by the on-call consultant at Eastbourne & District General Hospital that care could not be imposed on Mr A and admitting him to hospital would not help. On the evening of 24 July Mr A collapsed and died. The safeguarding adults review found that opportunities were missed to address Mr A’s mental health and its impact on his physical health. Issues included a lack of recorded mental capacity assessments, not pursuing the option of detention under the Mental Health Act and missed opportunities to seek clarification on Mr A from the Court of Protection. “The missing assessments, the absence of appropriate action to secure best interests on occasions when capacity had been assessed, the deprivation of liberty without authority and the failure to seek authority for care and treatment, all indicate that Mr A’s mental capacity was not appropriately addressed and the legal requirement for decisions therefore to be made in his best interests not met,” said the review. The review said there also appeared to be “a lack of legal literacy” in regards to mental capacity among some of the professionals involved with Mr A, including care home staff and GPs. 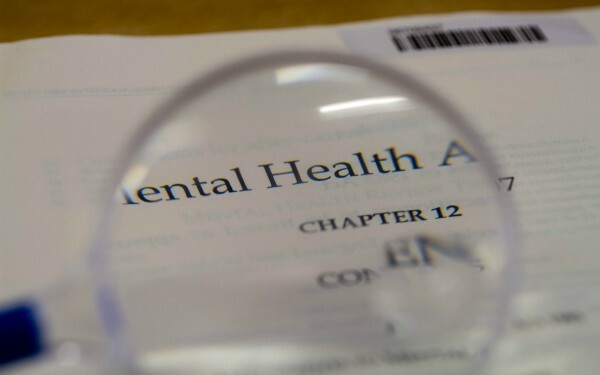 It recommended that steps be taken to improve training on mental health legislation including regular workforce surveys to assess staff confidence on the topic that can then inform future training. Another criticism made by the review was that at no point did all the agencies and professionals involved in Mr A’s placements, care and treatment come together. It also said that given the cross-border nature of the case a lead agency should have been nominated to coordinate the case. The review said the case highlighted “a shortfall of placements” suitable for adults with Mr A’s level of need that needs to be addressed at commissioner level. It also said agencies should have technology systems that alert professionals if a deprivation of liberty application goes unresolved to avoid a repeat of Mr A’s experience of being deprived of his liberty unlawfully. What is being described is a learning disability. Did this man understand he was committing suicide? He was going to die if his leg wounds were left untreated. I’m sure he was surrounded by people with good intentions and he state paid for his care as he committed suicide. I fdo not understand what the safeguards are for people with learning disabilities, acquired or genetic, who refuse treatment for physical conditions or say refuse to eat. Should safeguards around choice take precedence and if not what action is proportionate? I’m not sure you read the same article as me! The man had a diagnosis of Korsakoff’s- an acquired form of dementia, not learning disability. The man collapse and died of his under treated physical illness, and did not commit suicide. The issue is that he blatantly lacked capacity and as such appropriate medical and nursing care should have been provided in his best interests. There was a lack of care plan to say this man lacks capacity and therefore it is legal (and appropriate) to give medication, do dressings, personal care, give medications (covertly if necessary) even if he is refusing as that is a non-capacitous refusal. An admission to a general hospital with a Liaison Psychiatrist may have sorted this out, and certainly a professionals meeting should have occurred. I’m not personally convinced of the need to use the mental health act on the details provided. Absolutely correct, Dr Mountain. Section 5 MCA gives us all the authority we need to act in best interest, if someone lacks the capacity to give valid consent. Section 5 essentially is equivalent of informed consent, provided we follow the due process of MCA. Guidance to the MCA also tells us to use MCA in preference to MHA, where we can. Appalling that so long after the introduction of MCA so many professionals do not understand its application. I’m not convinced, however, that a general hospital would have been a solution. In my experience acute services are further behind the curve than any other branch of health and social care. Andrew Makin. IMCA and former Registered Nurse. His mental and physical health diagnoses were given and this did not include learning difficulties. We also have applied successfully to Court of Protection to safeguard a person with korsakoff’s. It entailed significant work and legal costs, but enabled us to provide necessary care and support. We have also introduced a Cop/panel where workers can bring complex cases to discuss legal options and get advise o n actions required. Often frontline workers may not have had experience ‘re making CoP application and need access to support to do so. Strange isn’t it how “those enquiring…should have considered whether treating Mr A’s mental health could resolve his unwillingness…” (when the psychiatrist, who one would expect to know the MHA inside out, did not think of that). If you are unwell and refusing treatment for physical illness, the healthcare staff will try and treat your mental health first. However, if your physical illness is serious they might treat you under the MCA. If they treat you under the MCA they have to follow the rules set out in section 2 of this factsheet. I suspect this man was very difficult to deal with. I’m really surprised this does not come up all the time in Care homes hence ‘over-medication’ is a problem? There is a tendency to make these things much more complicated than they really are, and people need to sit down and consider the concrete facts of such cases, and of course make sure they are familiar with the law which clearly enables the treatment and protection of such vulnerable individuals. An opportunity to begin to help this gentleman was surely possible way back in Dec 15. A view could have been sought from a Psychiatrist on how the gentleman’s mental health condition was impacting on his capacity to make a decision about his treatment, rather than limiting it to whether or not he fitted the criteria for detention under the MHA. it appears from the evidence that it was likely that he lacked the capacity to make a decision about treatment and did not understand the implications for him refusing treatment. Why was a thorough mental capacity assessment not undertaken then to provide the evidence and indicate a best interests process involving the person who had the LPA as they would be the decision maker. The BI process would need to consider the required treatment and management plan, I can only agree that the people concerned were not familiar with the law or their responsibilities. As someone stated before we should look to the MCA/DOLS(Deprivation of Liberty Safeguards) for a solution before the MHA. Questions as to whether mental health treatment will improve his capacity need to be considered, this of course is not always the case that improvement in capacity will result from treatment of the mental health disorder, be might indicate use of the MHA rather than the MCA. In considering the treatment and management of his physical condition, the issue of restraint may well arise as he has been resisting treatment. This could indicate use of the MHA as opposed to the MCA. But it certainly requires legal authority and both acts have provisions for detention and treatment of mentally incapacitated people including measures of restraint. What would also need to be considered if there was no detention under the MHA, whether the measures being employed would amount to a Deprivation of Liberty for the patients continued detention whilst being treated was required, and if so should authorisation be sought. I would however think an DOL authorisation should already in place, and any additional measures be agreed as part of a review.